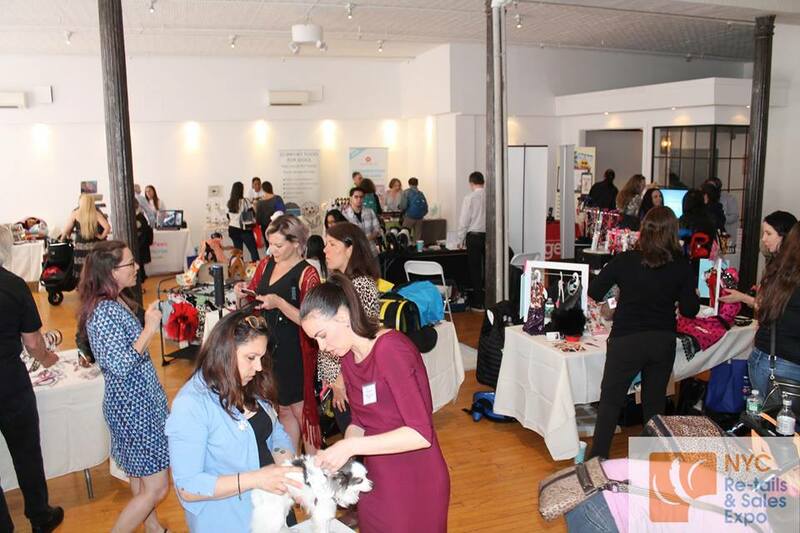 NEW YORK - May 4, 2017 - PRLog -- On Tuesday, May 2nd from 1pm – 6pm, approximately 200 attendees gathered at Home Studios Inc. near Union Square Park for the 5th annual NYC Re-tails & Sales Pet Expo. Hosted once again by Nancy Hassel of American Pet Professionals and Dana Humphrey of Whitegate PR; pet industry professionals in the Tri-state area had the opportunity to meet the makers of new and innovative pet products in a laid-back, fun, but business-focused atmosphere. This year's NYC Re-tails & Sales Pet Expo kicked-off two special occasions, both aimed to celebrate the importance of pets and pet ownership: May's National Pet Month and National Pet Week (first week in May). Over half of the households in the United States own a pet (almost 80 million homes), which explains why the incredible growth of the pet industry has skyrocketed in the past 5 years. Media, pet retailers, groomers, veterinarians, social media and pet influencers gathered at Home Studio Inc.'s hip urban venue to learn about latest and greatest pet products available on the market today. Attendees spent a successful and jam-packed day networking and establishing business connections at this boutique pet expo event. Learn more at: http://www.retailsandsalespetexpo.com/. "We had a great variety of vendors at this year's expo, from natural pets foods to designer apparel, custom pet beds and much more," expresses Nancy Hassel, Founder and President of American Pet Professionals. "Overall, the day was filled with great energy and excitement too, which made this a successful turnout for everyone. We are grateful for Pet Age Magazine being our Presenting Media Sponsor again and to Veterinary Referral & Emergency Center of Westbury for being a gift bag sponsor!" Vendors at this year's NYC Re-Tails & Sales Pet Expo included: American Pet Nutrition, Bandanas Unlimited, Buddy Belts, C'MiMi, Comfort Food For Dogs, Destination Hemp, Doggie BowTie Collars, Dozers Pet, LeChienBleuNY, Pets Global, Inc., Puppy Hugger, Puppy Pan, Push Pushi, Ride Along Paws, SweetPawz, Walking Palm Cat Caves, and Fluffy RX App. "Every year I look forward to attending the Re-tails & Sales Pet Expo. For someone like myself, that has been involved in the pet space, it's a great opportunity to meet & network with my peers and to share ideas. Our industry continues to grow and develop and this event showcases so many of the brightest manufacturers & entrepreneurs representing creative and unique products in our industry," says Vito Mileo from PetFlow. "Today was awesome and I was planning on a one hour stop and ended up staying all day. I found my happy place. I love Buddy Belts and Puppy Hugger and they are all good people who make great stuff," states attendee Summer Strand. Glenn A. Polyn, Editor-in-Chief of Pet Age Magazine expresses, "It's a valuable networking event, where the vibrant and energetic attendees and the engaging exhibitors meet, with exciting products. " "My clients are always looking for healthy treats and innovative products. Dana and Nancy did it again!" expresses Celebrity Dog Trainer, Travis Brorsen, "The NYC Re-tails & Sales Pet Expo was nothing short of exceptional. Four PAWS up from us!" About Whitegate PR: Whitegate PR specializes in delivering multifaceted marketing and strategic public relations campaigns, effective in reaching target audiences to meet - and exceed - client's goals. Whitegate PR aims to bring each organization's market share to the next level, providing creative strategies and solutions unique to each company. For more on Whitegate PR visit www.WhitegatePR.com. About American Pet Professionals, LLC: American Pet Professionals (APP), is a Business Networking Group for the pet industry established in 2009, formerly Long Island Pet Professionals. APP was the first networking group in the pet industry dedicated to all pet professionals in any area of the industry! In-person networking events occur in different locations every 6-weeks featuring different guest expert speakers, mix and mingles and on-line networking, educational programs, classes for the pet professional at any level are offered through APP. For more on American Pet Professionals visit www.AmericanPetProfessionals.com.